We are dedicated to keeping your home protected and beautiful for years to come. 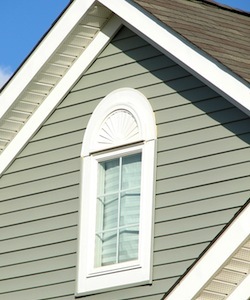 Siding plays a huge role in the structure and protection of your home. Most people think that siding is just to improve the visual aesthetics, it actually creates a strong barrier between the interior of your home and the harsh storms that we face during the cold seasons. Vinyl siding gives you the protection your home needs, with a look that you will absolutely love! Vinyl siding is water resistant which is great for repelling moisture that can cause mold or mildew. Along with being waterproof, vinyl siding comes in a large variety of colors and textures giving you the ability to fully customize your home’s exterior and it’s much less maintenance than other types of siding. Vinyl looks beautiful on the exterior of anyone's home. Vinyl siding is currently one of the most popular kinds of siding on the market. It is highly durable and highly sustainable. Talk to All Storm Solutions about our siding options. We can show you how vinyl siding may be the best option for your home. Our experts are prepared to answer any questions that you may have about our vinyl siding options. We have helped many homeowners by installing beautiful vinyl siding that protects their home from any storm damage. With our knowledge and expertise you can feel confident in All Storm Solutions to install, repair and replace vinyl siding on your home. Call us for more information on our vinyl siding!